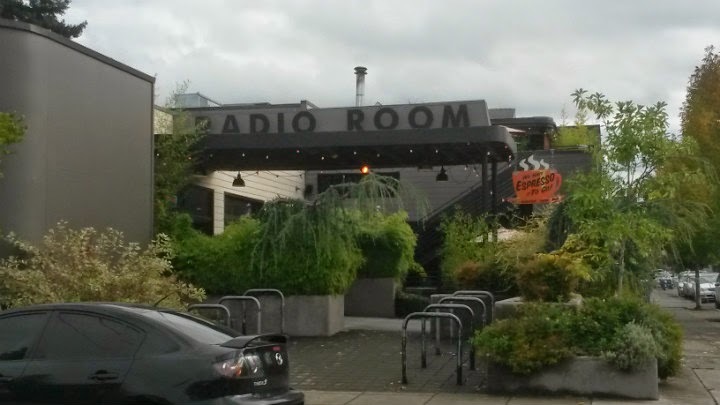 Radio Room is located on NE Alberta in Portland, Oregon. 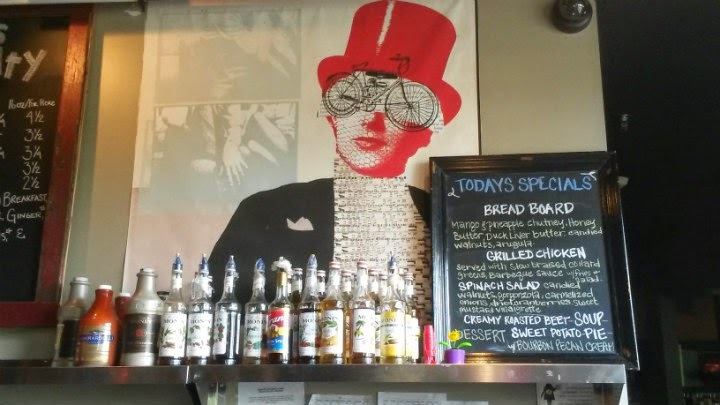 The place is open for breakfast and stays open late. Full bar available. 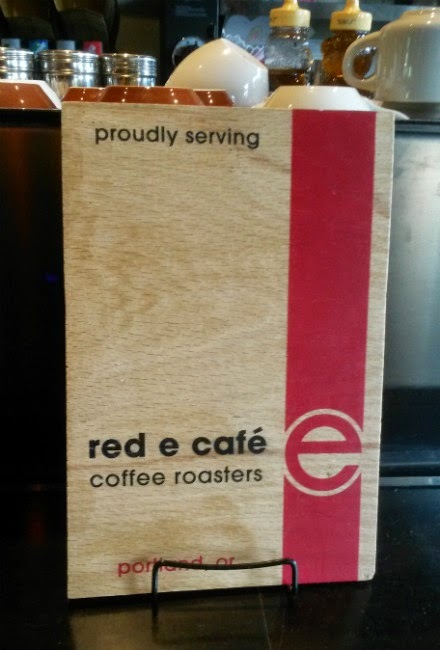 Coffee here is from Red E Cafe Coffee Roasters. 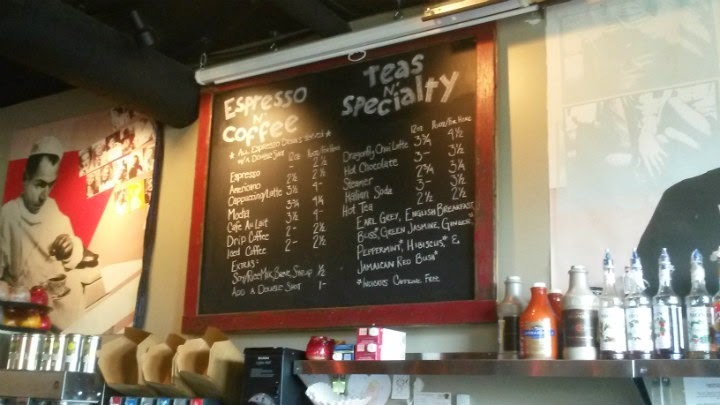 For $2.50, you get bottomless coffee. 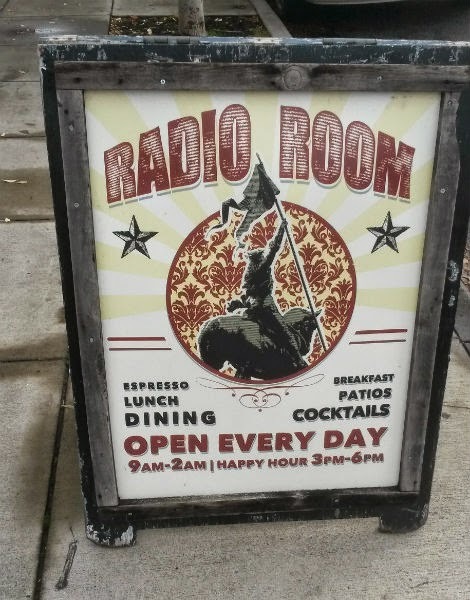 Radio Room is another place that uses green chile! One of my coworkers told me that green chile poutine exists here. Say no more. 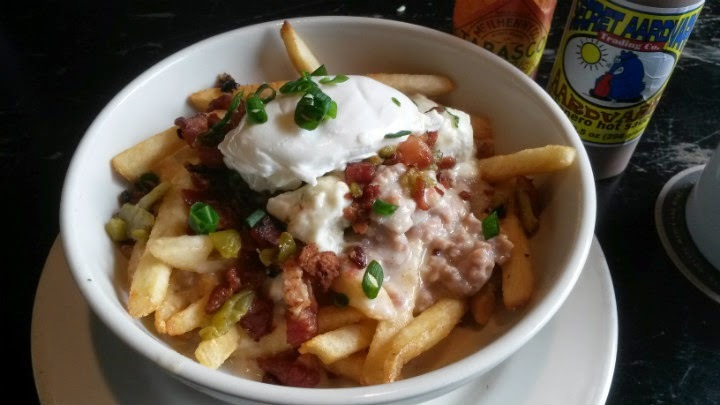 Green chile poutine starts with a medium-sized bowl of fries. Add roasted chopped green chile, bacon bits (real bacon), tomatillo salsa, choice of veggie or sausage gravy, and a poached egg on top. Basically, Canada meets Southwest U.S. (and a little southern twist as well). They have Secret Aardvark habanero sauce here. Double win. 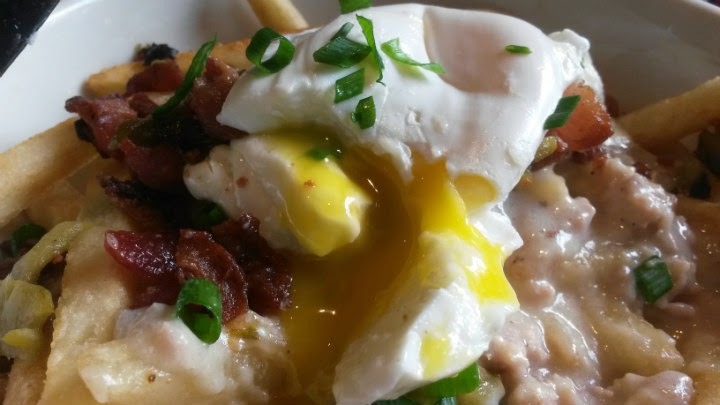 Great fries and excellent sausage gravy here, very flavorful. I only saw a bit of green chile at first, but there was more hiding under the perfectly poached egg. Cheese curds, while not advertised on the menu description, were in there, albeit maybe 4-5 total. 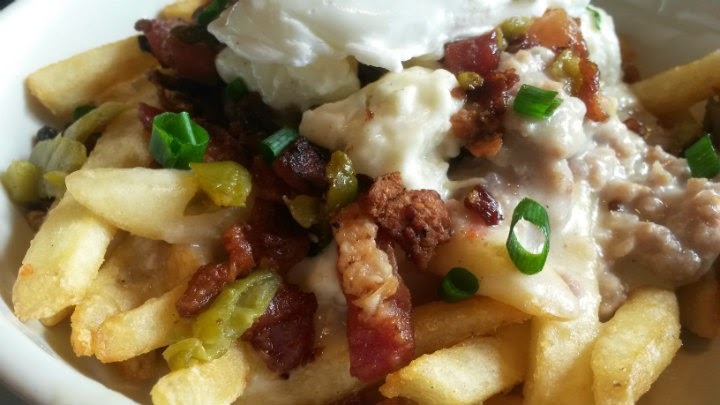 Many U.S. spots serving poutine skimp on the curds, while all Canadian poutine spots would provide a generous portion. Overall, a nice $8 menu item. Great service. 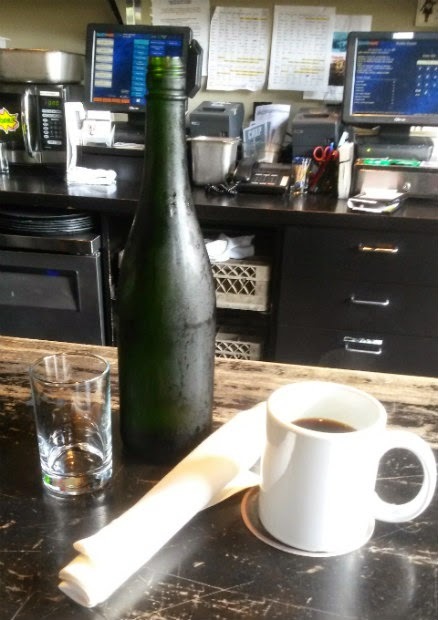 The servers made sure my coffee stayed filled. The panda needs his caffeine. 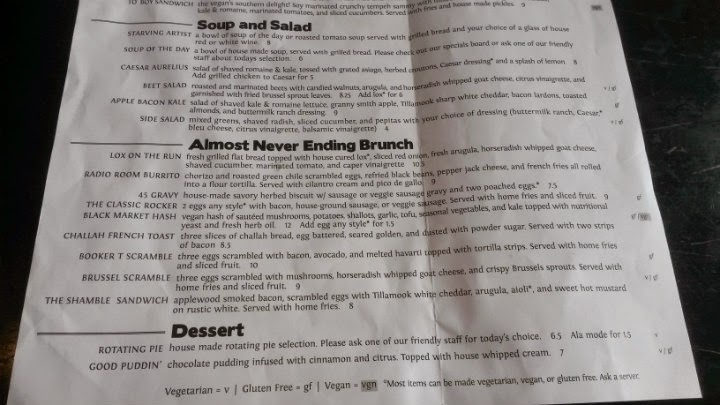 Other tasty menu items include Fried Brussels Sprouts ($8), White Truffle Fries ($5.50), Steak Frites ($15), and Challah French Toast ($8.50 brunch item). 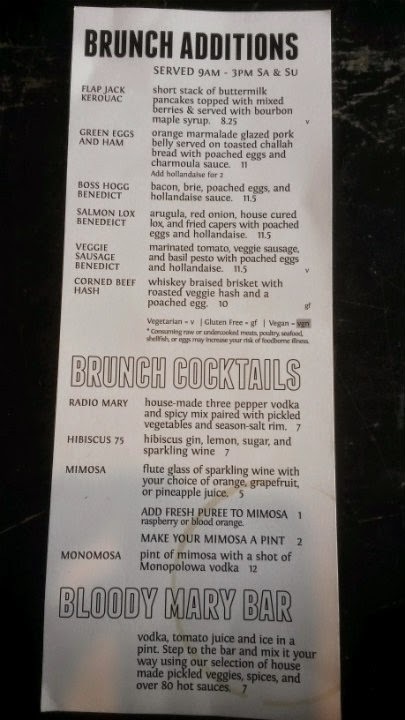 The $9 Radio Room burrito also sounds good because it includes green chile scrambled eggs.